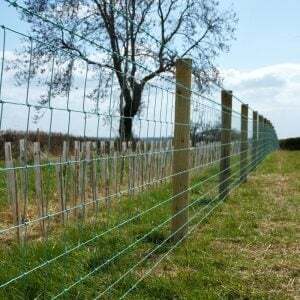 Rylock Green is our high performance stock fence that lasts over three times as longer, than standard galvanised fencing. A great solution for farm fencing. Our Rylock Green stockfence is available in four steel variants to suit all applications. 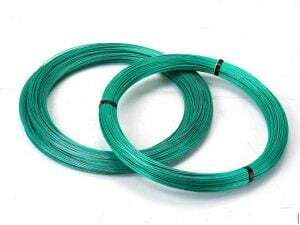 Rylock Green stockfence has a anti-corrosive coating applied over heavily galvanised wire, giving it addional protection against atmospheric corrosive agents. 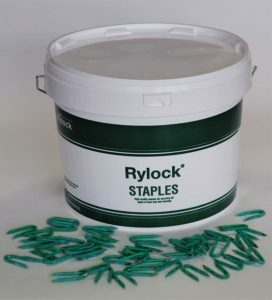 Designed with presser points for firmer fixing, Rylock Green staples are useful on all types of fencing projects. They are supplied in three handy tub sizes: 20kg, 10kg, 5kg. Discover our full range in the assortment table below.